This one will really be “The Special Mobile”. At an exorbitant price tag of Rs. 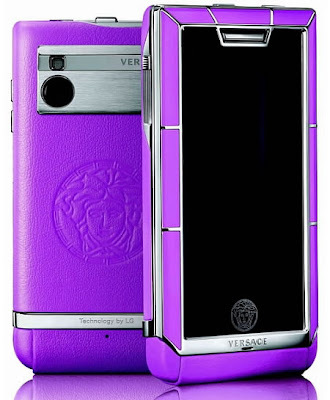 4,50,000, luxury brand Versace has launched its first ever mobile phone in India. It was announced way back in May 2010 and is unique handset made with effort and innovation. Referred to as the “Versace Unique Collection”, its highlight will not just be its features but also its magnificent design and expensive materials used in making it. 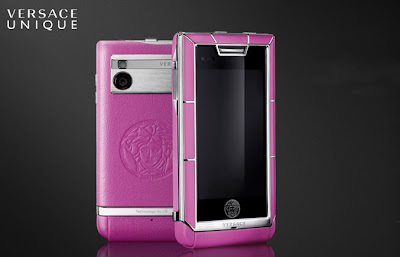 The Versace Unique handset has been launched in collaboration by Versace, LG (South-Korean mobile vendor) and ModeLabs. The website CellPassion.com reported that its price would near US $9,964. More than a feature and performance oriented gadget, this mobile handset would be a luxury item, one that high-class people can flaunt. Its design and material is fantastic. 18K gold along with 316L stainless steel is used in making its frame. The screen display is made up of sapphire crystal and back is made of rare crocodile leather. For a great communication on Versace Unique, one may get 3G support as well. What has added to its uique beauty and price is its assembly that has been done with help of hands and features such as a 5 MP photo snapper, 3G Radio, media player and Bluetooth connectivity. Available in vibrant colours such as Black, Brown and Purple, Versace Unique is also let its users enjoy music in Dolby Digital Surround Sound. There is nothing like "Versace Unique Collection" when it comes to design and even features. This one truly is for the elite and classy people in India.